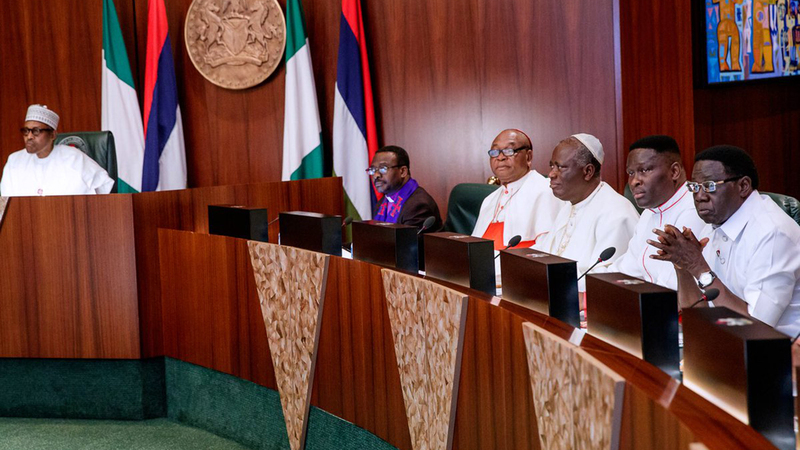 President Muhammadu Buhari on Friday assured Christian leaders in the country of his commitment to leave Nigeria better than he met it in 2015. Receiving the leadership of Christian Association of Nigeria (CAN) led by Rev Dr Samson Ayokunle in the State House, Abuja, the President affirmed that his administration will continue to address important national challenges including security, economy and corruption. CAN leadership was in the Villa to congratulate President Buhari on his re-election, and the President told them the outcome of the just concluded polls underscores the trust Nigerians have in the present leadership in the country.